I’ve told the story of the birth - or maybe that should be the inception - of The Charter a few times now, and it means as much to me today as it did at the start of my writing career. This novel sums up everything I am passionate about. It stems from my love of history, adventure and tales told by local folks that fire up my imagination. 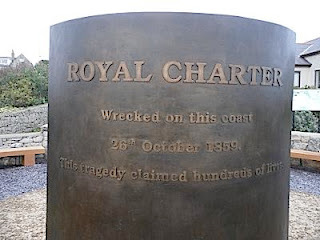 I can’t remember exactly how old I was when I first learned of the wreck of The Royal Charter off the coast of Anglesey in the great storm of 1859 claiming the loss of over eight hundred lives. But I think I was around eleven years old when the press were full of stories of gold bullion being recovered from the wreck by local divers after a winter storm, and an influx over several months the following summer of modern day treasure hunters. One weekend, armed with a second hand metal detector, our family headed to a local beach, Red Wharf Bay and I can still remember the burst of excitement each time I found a penny in the sand – only to find out later that a relative had buried them for me to find! The small Welsh island of Anglesey has been part of my life for as long as I can remember, and even now it still often surprises me with its beauty or stories of the past. I find Neolithic burial mounds I’ve not known existed, or, as happened on this latest New Year holiday, discovered a new beach I’ve never previously visited. There are hundreds of shipwrecks around the Anglesey coast, some you can see at low tide or even visit in estuary mud banks. But there was something about the story of The Royal Charter that touched my soul. It could have been the mystery around the missing Australian gold, or the fact Charles Dickens was so moved by the disaster he visited and wrote about it in his novel The Uncommercial Traveller. Or it could have been the visits I made as a child to the old churchyard in Llanallgo Church, where many of the dead are buried, and there now stands the anchor from the wreck along with a memorial to the missing. But when I sat down and started to write novels, there was always one story I would want to retell in my own style. And to this day I’m so proud to say that the prologue of this book managed to secure me two literary agents. And so The Charter became, if not the first novel I wrote, the first I published in June 2012. The audio version has become one of my best sellers, and even today sales of the book remain steady and more popular than others in the U.S.
All my novels are set on and around Anglesey and the North Wales coast and I have notebooks of stories, ideas, local tales and research that I hope one day will make their way in books in their own right – but I doubt any will mean quite as much to me as The Charter. I stand on the edge of a high cliff. Holding back hair that whips across my face, I shield my eyes and squint through the stinging wind. Lifeless bodies dash against the rocks beneath me. The ship disappears beneath the surface, battered by one huge wave after another. Rain mixes with tears that burn my eyes, and I feel as if I have woken from a nightmare of such terror my whole world has become horribly distorted. I know the sea. I have lived with the ocean all my life. I have been raised to respect Mother Nature, and to underestimate at my peril the power of the ocean. But I have never witnessed such a storm as this. I have no memory of reaching this cliff. The last thing I remember is being wrapped in mother’s arms on the rolling deck as my da strapped a belt around my waist. Cold lips press into my cheek. Calloused palms cup my face for the merest of seconds. The other side of where? I want to ask. But he’s gone and the ship is lurching violently beneath my feet. A sound like a gunshot rips through the air. I bury my head in my mother’s bosom; she wraps her shawl around me. The shrieking wind carries away the sounds of crying children, sobbing women, men barking orders. I cover my ears as strong hands lift me, push me towards the lifeboat. I grasp my mother’s hand tighter. Seconds later, a ripping noise shakes the whole ship. The wooden deck shudders, and the bow gives out a loud moan. The ship tilts and I lose my footing, screaming as I slide towards the inky blackness, pulled by the weight of the leather pockets about my waist. I watch from the cliff edge as a pale dawn breaks. No golden rising sun, no blue skies, no welcoming warmth – just a gradual fading of blackness into misty grey. 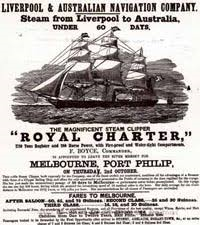 The Royal Charter – the steamship that has carried my family from Hobson’s Bay, Australia to a ‘better life’ in England – is still being pounded by the storm. With every massive wave that crashes over her, I expect the ship to disappear, but after each surge of the tide she reappears as if trapped by the jagged rocks and unable to find release. But I know it cannot be. I know this cannot be real. The truth hits me. Bile fills my mouth; I double over and retch. … If I was one of these obsessive types who orders my library in genre order, I would not know where to put this one. Crime novel? Ghost Story? Historic Account? Adventure Story? It doesn't matter. It all works beautifully together. The elements, as diverse as they seem, sometimes just fit, which of course is down to old fashioned, damn good story telling. 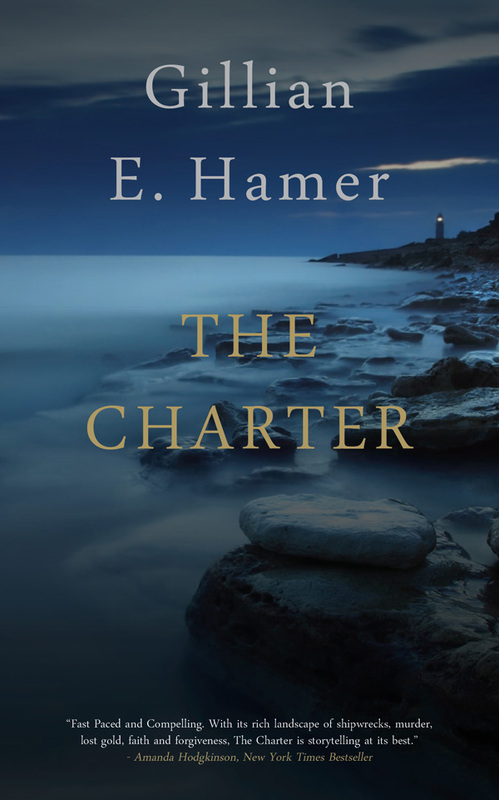 … It's not often that a book comes along which covers all your favourite genres in one fell swoop, but… The Charter is definitely one such book. 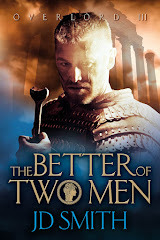 Gillian Hamer writes with the passion of one who knows Anglesey well, and with great skill and imagination has turned this passion into a cracking good story. … A GOOD story well told is always great to read, and this one cracks along with atmosphere. The setting is wild Wales, the coast of Anglesey. 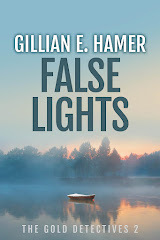 Author Gillian Hamer has a way of gripping readers that goes beyond the twists of her plot. Her writing is superb. This is five-star stuff. If you'd like to read The Charter for yourself please CLICK HERE. 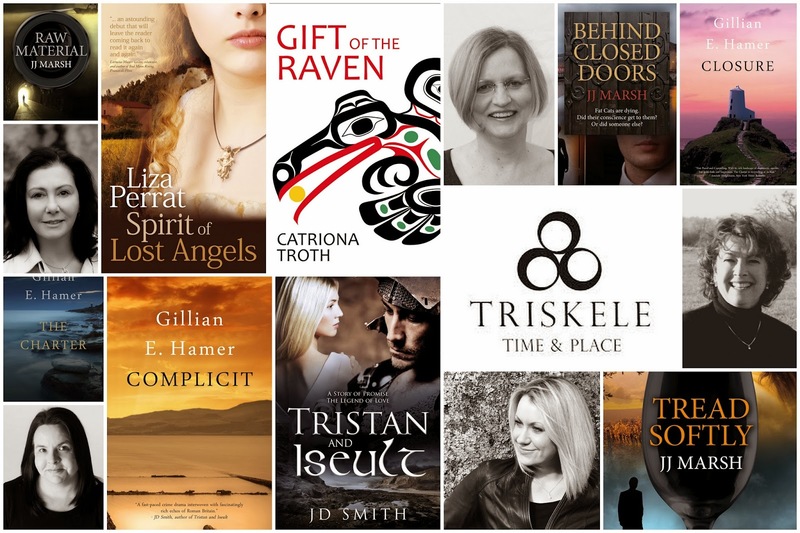 Triskele Books is an author collective spread over three countries and two time zones. So it's no surprise that all Triskele novels have a strong sense of time and place. 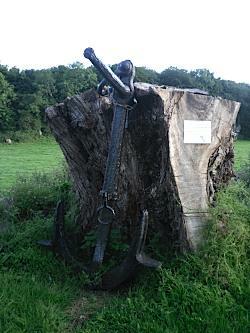 Gillian E Hamer’s books are set in North Wales. She has written three novels which blend modern crime, ancient history and an otherworldly element. Currently she is working on the fourth in the Gold Detective series. 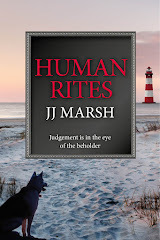 JJ Marsh writes contemporary European crime. The Beatrice Stubbs series explores ethics, politics and blood – from Zurich to Brampford Speke. Liza Perrat’s historical fiction novels are set in rural France against the backdrop of the French Revolution and the Second World War, from the perspective of two extraordinary women. Her Australian psychological thriller, The Silent Kookaburra, was published in 2017. Catriona Troth’s novella, Gift of the Raven, takes place in Canada in the 1970s while her novel Ghost Town tackles the themes of race and identity in 1980s Coventry. Here they explain how their collective operates. Jill (JJ): It’s very similar to a small press, but the crucial difference is our independence. Legally, we wanted to retain our own rights, so we chose not to create a publishing house. Instead, we just act like one. 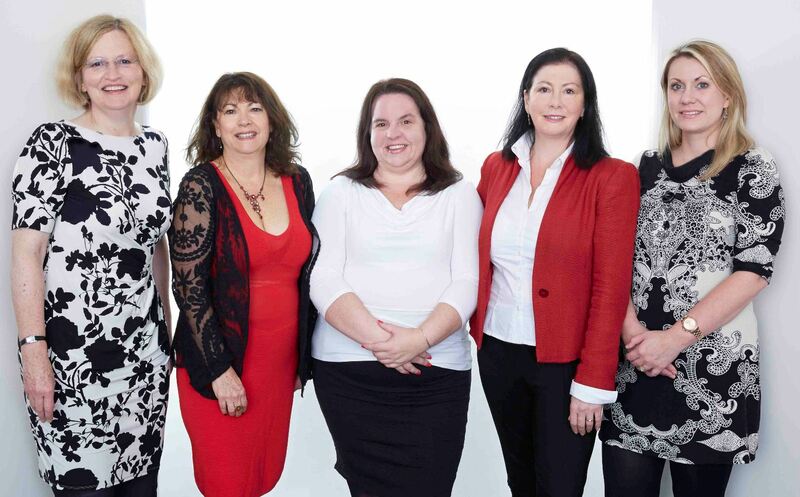 We’re a group of people who can edit, proof, consult, advise, co-promote and market on a shared platform. Each of us works as an independent entity but we all benefit from mutual support. Financially, we contribute equally to any costs incurred, such as webhosting, print materials, etc, but each of us keeps the profits from our own books. Catriona: I began reading about author collectives in the States. And I thought this has to be the way forward, the power in working together. So four years ago, the original members of Triskele met in London to decide if the idea really had legs. Turns out it did. Five of them. Jane (JD): The name came from the Celtic symbol of the triskele, which shows three independent circles joining to form something greater than its parts. It represents the concept of our collective – authorial independence balanced by mutual support. Going it alone, together. Gillian: We have our own Facebook private page, for everyday communication and we also use email and Skype. We communicate every day but only meet physically three or four times a year. But when we do, it’s brilliant fun! The second advantage is having someone to answer questions and give advice. Among the five of us, someone will have had the same problem and know a solution. My advice would be to learn from those who’ve gone before, then find the path that’s right for you. There’s no one way to do this. How do you know whether an author is a good ‘fit’ for Triskele Books? 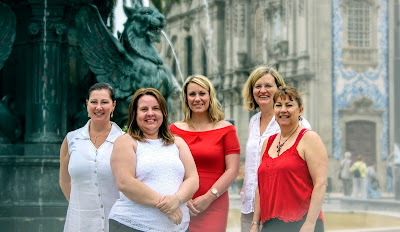 Are you actively seeking new members? Jane: Writing good books is a given. We as a group need to ‘fit’. When working so closely as a team, it’s important everyone pulls their weight and believes in the collective as a whole. We share experiences, snippets of information, the highs and lows, opportunities for genres, news stories relevant to an author’s theme, place or period. We’re really supportive of each other and the group. We’re not seeking new members at the moment, no. We seem to have found the right balance. Jill: Every six months, we stop and evaluate where we’re going. What’s working, what needs to be improved, and how best to move forward. 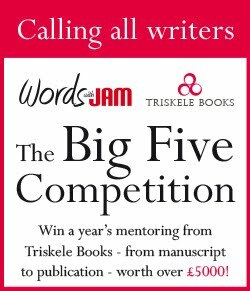 We just launched The Big 5 Competition, in which someone will win a year's mentoring from us. Other than that, we're all writing new books and finding more ways to connect good books to discerning readers. A Time and a Place is a boxset of seven novels by the Triskele authors and associates. Grab it now at the bargain price of £7.99. A Rising Man is grounded in a very specific time and place: Calcutta, 1919. This is a time, in the immediate aftermath of the First World War, when the “Quit India” movement was beginning to gain momentum. When calls for violent uprising were clashing with Gandhi’s approach of non-violent noncooperation. When the British were doubling down on their control with an oppressive set of laws called the Rowlatt Acts. And in the midst of this, a senior British civil servant is found murdered in the ‘wrong’ part of town, with piece of paper stuffed in his mouth inscribed with a subversive slogan. 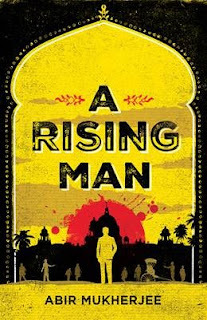 A Rising Man is the first book in a planned series and Mukerjee introduces two main characters: Captain Sam Wyndham, scarred from his experiences in the trenches and the death of his wife, and newly arrived in India and Detective Sergeant Surendranath Banerjee, known (because British tongues can’t manage anything too complicated) as Surrender-Not. Here Gillian E Hamer, JJ Marsh and Catriona Troth talk about how the book affected them. Please join in in the comments section below! How do these two characters work as a pairing? And what do you think of Mukherjee’s choice to make the outsider, Sam, his point of view character? (GEH) I loved both characters! In a kind of Morse and Lewis vibe they worked off each other really well, with touches of humour and subtle sarcasm as they grew to know each other. Both were professional, and yet the reader knew early on that Banerjee was always going to be the unsung hero that saved the day. 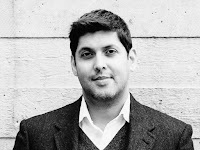 I think Wyndham knew that Banerjee was going to be a life-long partner, and that his local knowledge and expertise would always make an outsider’s job easier. I think having Wyndham as the central character worked really well because we saw Calcutta through his eyes, and the highs and lows of the city resonated with us from his British perspective which we understand as Westerners ourselves. (JJ) They are the classic team. Initially awkward, rubbing each other up the wrong way on occasion but both have much to offer and by dint of mutual respect - one assumed, one earned - they achieve a harmony and understanding I would happily read and enjoy as it develops. Sam as POV is vital to my own appreciation of this book and this time. He's cognisant but not comfortable with the assumption of British superiority and challenges the status quo as who might have been a 'modern man' for the times. (CT) I fell in love with both of these characters at first sight, and that affection has only deepened with reading the second book in the series (A Necessary Evil). Surrender-not's wry sense of humour and his patient tolerance of Sam is irresistible. He's one of those apparently secondary characters that actually give the book its heart and soul. I think that Mukherjee's choice of Sam as the point of view character firstly gives him an 'all access pass' that simply wouldn't be possible for Surrender-not, given the restriction imposed by social hierarchies. Sam will also notice things that a local would simply take for granted, which gives us a eyes and ears in this unfamiliar world. Mukherjee takes you down into the streets of Calcutta, from the stinking gullees of Black Town and the opium dens of Tiretta Bazaar, to the poky guesthouses for the itinerant British, where “the mores of Bengal were exported to the heat of Bengal,” the maroon-painted colonial neo-classic buildings of the Imperial civil service and the exclusive clubs of the rich. Does Mukherjee successfully evoke Calcutta in the early 20th C for you? Any descriptions that particularly strike you? (GEH) Yes, I thought the sense of location was excellent. I loved how we discovered the city through an outsider’s eyes as Wyndham was clearly unprepared for Calcutta. I thought it was a very clever tool to use Annie Grant as our guide to the city, and I particularly liked the descriptions of the glitz and glamour of the bars and hotels they frequented being next door to some of the poorest slums. The contrast is meant to shock us and it does. And yet her explanation of how these stark differences were normal to the locals and how the different colours and castes were treated within the complicated layers of society was well researched by the author but came across very naturally. (JJ) 100%. Not that I'd know, but his sense of alienation, endangerment and sheer confusion at this indescribable city thrusts the reader right into the middle of the heat, traffic and politics. The opium den is a curtain drawn back on a twilight environment, but I found dinners at the boarding house grimly familiar and entertaining in a gritted-teeth fashion. (CT) I thought the detail was extraordinary, without ever being heavy handed. I had a film playing in my head the whole time I was reading - in full technicolour and surround-sound. This is a world of strict hierarchies, where everyone is kept firmly in their place. How did Mukherjee convey the manners of the period? (GEH) I may have touched on this a little in the previous answer as Annie Grant was a very clever character as she saw things from both sides, and understood how these barriers worked. She was mixed race and gave a no nonsense account of how it had become accepted that English men brought over to run the country would consort with local women, but how the children of those unions were never fully accepted into society. The author showed through Annie his real feelings about society at that time, but didn’t shy away from the brutal manner of the period in either tone or language. We also saw the complex hierarchies of the police and military and who has the power and makes the decisions. I found this extremely interesting and liked the fact that the central characters did their best to stay true to their values. (JJ) That is one element of the book which made me continually uncomfortable. The privilege and entitlement of the British colonials made my toes curl, even with the historical perspective. Mukherjee uses his brush lightly, embedding the appalling injustice and arrogance as part of the scenery. The caste system also has a walk-on role, but is still significant. I found the social strictures artificial and outdated yet evidently functional. We tend to view this period from the point of view of the British Raj (through stories such as The Far Pavilions or The Jewel in the Crown). Was there anything about the different slant that Mukherjee brings to the story that surprised you or made you change your view of the British role in India? (GEH) Yes, you’re right. Anything I’ve read or watched on TV has always been from an English perspective, along with a rallying cry for the might of the empire! Here the author makes you think about the real people of India, who watched as their city exploded into a kind of London suburb before their eyes. Some, like Banerjee, were able to find a foothold within the new regime, whereas many were simply left behind and forgotten. I think the treatment of these people by the British, particularly the police and military, was the most shocking for me. (JJ) The articulate, wholly justified and determined rebellion against British rule from a complex and divided society is something I appreciated learning more about, especially the nuances of political and geographical reactions. Mukherjee keeps our attention on the plot narrative while providing an informed and opposite-of-airbrushed context. Learning by stealth. (CT) I knew a little bit about the later stages of India's struggle for independence, but this early period was new territory for me. The sheer brutality used in suppressing the Free India movement and the contempt shown for the legitimate aspirations of the Indian people was a sharp jolt to the conscience. For all the seriousness of the underlying themes, A Rising Man is rich with humour (particularly in the relationship between Sam and Surrender-not). What was your favourite moment of humour? (GEH) I think it was the subtle sarcasm and the way Banerjee gently mocked Wyndham without him even sometimes being aware he was the centre of attention. Along with the mutual respect, I liked the fact there was often a glint in the eye of one or other of the characters. One moment that sticks in my mind was how Banerjee tried to protect his boss when they were forced to visit the local brothel in the course of their enquiries. (JJ) Sam and Surrender-Not have so many whipsmart interactions but the one that stuck with me is when Surrender-Not explains his nickname. It's a moment which encapsulates the whole book for me. Intelligence, underestimation, gentle criticism, humour and yet still the nickname sticks. Is Mukerjee successful in blending the Crime and Historical Fiction genres? Is Crime Fiction a good way of exploring a less-well-known time and place like this? 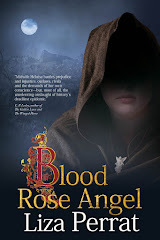 (GEH) I thought it was a perfect blend to be honest, but then I am a fan of mixed genre books – particularly crime and historical which I’ve written myself. You have the excitement of the murder enquiry, and yet learn so much about the period, and in this case the country, where the story is located. It adds another level of interest for me, as I love reading both genres anyway. This is the first book I’ve read in the series, or by this author in fact, but I’m already looking forward to rejoining Sam and Banerjee on another case in the future. (JJ) This blend is a new one for me and I confess I tend to study periods of history and politics without the distraction of narrative. However, I found this book a compelling read for the tension of plot and drama, whilst absorbing the hintergrund as think-about-that-later. That said, the time and place, not to mention characters, have stuck in my mind far more powerfully than the story. I'll be reading much more Mukherjee in future. (CT) I think it works extremely well. What better way to examine any society than through the often cynical eyes of a policemen? And having the main plot of the book revolve around solving a crime distracts us from the fact that we are actually absorbing a fascinating history lesson!